Small crane carving made out of the horn of a muskox. 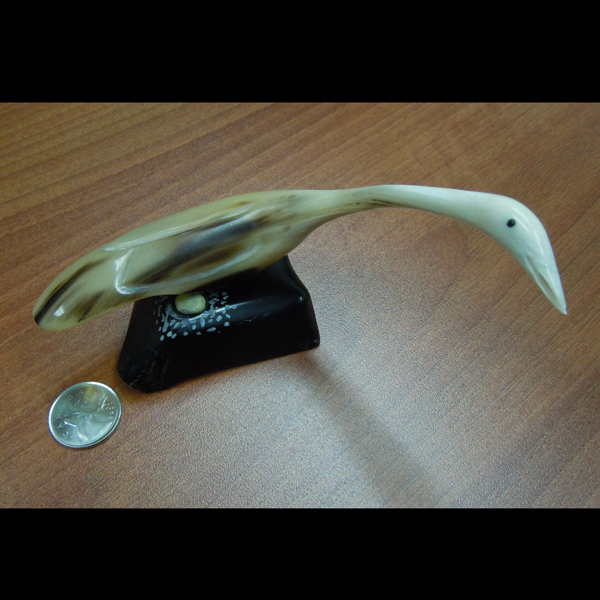 Traditional Inuit hand carved from Ulukhaktok Northwest Territories. 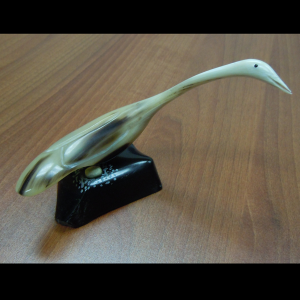 This crane carving comes complete with a hand carved soapstone base.